True orthodontic emergencies are rare, but when they occur we are available to assist you. As a general rule, you should call our office when you experience severe pain or have a painful appliance problem you can't take care of yourself. We'll be able to schedule an appointment to resolve the problem. You might be surprised to learn that you may be able to solve many problems yourself temporarily until you can get to our office. If there is a loose piece that you can remove, put it in a plastic bag or envelope and bring it with you to your next appointment. If your braces are poking you, put soft wax on the piece that's sticking out. If the wire has slid to one side, you can pull it back to the other side with a tweezer or needle-nosed pliers, replacing it in the tube on the back tooth. When you get your braces on, you may feel general soreness in your mouth, and teeth may be tender to biting pressures for three to five days. Stick to a soft diet until your teeth do not hurt to chew. Irritated gums and other sore spots can be relieved by rinsing your mouth with a warm salt-water mouthwash. Dissolve one teaspoonful of salt in eight ounces of warm water, and rinse your mouth vigorously. An alternative mouthwash is Peroxyl Rinse or (better tasting) Healthy Gums Rinse by The Natural Dentist. If the tenderness is severe, take Acetaminophen (Tylenol) or whatever you normally take for headache or similar pain. 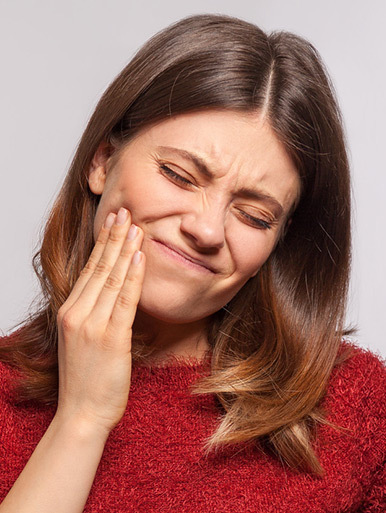 Aspirin, Ibuprofen (Motrin, Advil) and Naproxen Sodium (Naprosyn, Anaprox) actually slow the tooth movement, so it is not advisable to use them frequently while wearing braces.